Prioritizing the strategic importance of technology that supports your supply chain is essential. Mobile Solutions are an integral and expanding component of the technology landscape that support all steps of the manufacturing process. Organizations that have mobilized solutions such as enterprise resource planning (ERP), enterprise asset management (EAM) or field service management (FSM), warehouse management system (WMS), Inventory Management System (IMS), etc. are more prepared tackle the overall digital transformation. 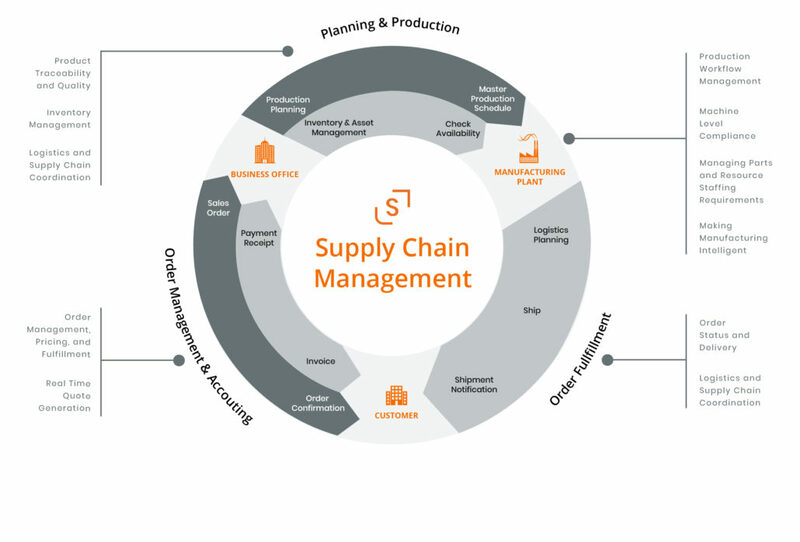 By 2018, mobile has served as the key to unlocking the “supply chain digital transformation.” Shockoe is creating supply chain apps that are designed to support new production strategies, reduce time to manage and log resource and production activity, bring greater accuracy to tracking and analyzing data, and support the automation of production centers. Within the supply chain, more specifically warehouse management, manufacturing, and distribution, there are several opportunities for leveraging mobile in the workforce. In working with our clients, we believe the list below is the starting point for mobile solutions. These supply chain app options are aimed at supporting the overall manufacturing and sales process through an ecosystem of inventory apps, customer-facing apps, and order fulfillment apps. Managed Strained Resources: What happens when you find out that there will be a 10 percent increase in demand next month but you have no idea if you’ve got the labor, warehouse space, or raw materials to fill these extra orders? What happens if your demand shifts mid-cycle? Master scheduling can be controlled via a computer, but why not get the insights to do it on your mobile app. Disconnected Plant Floor: Errors mean waste, unhappy customers, and non-compliance. As your business grows, mobile becomes the only way to ensure your team can “be there”, on the plant floor, to know what’s going on at any given moment. Operators and Managers need to focus on the task at hand, not on managing issues. Mobile Apps give Managers and Operators a complete view of the manufacturing operation that is available to the entire organization but on the shop floor. Real-time quote generation also has some great benefits. Resolve Inventory Inaccuracies & Inefficiencies‍: Having the right inventory is only half the challenge, operators need to know where it is and how to get to it. Mobile is not the only solution for this, there are two things your team needs to do, (1) Make sure to have a floor layout that makes inventory visible first, from a Mobile Perspective, track inventory as it enters and leaves the warehouse in a centralized system, mobile apps enable employees to do this quickly and efficiently, real-time. Team Communication in Fulfillment: Miscommunication can cause shipping delays just as much as a disorganized warehouse. If the entire team isn’t on the same page and has no direct access to managers, too much time is spent “chasing” down the right person. As a warehouse manager, you may have all the vendor information you need – but that won’t help your team unless you communicate the information that they need, with a supply chain app in hands, your team can be in constant communication. When prioritizing and considering mobile supply chain solutions to support the manufacturing, administrative, and customer engagement process, Shockoe suggests using three key metrics to prioritize supply chain app development versus alternative mobile applications or the overall technology portfolio. Delivering a successful customer experience and subsequently driving more revenue requires mobile leadership and prioritization activities to go beyond the building of apps for customer-facing roles (i.e. Work Order Management or Sales). Back-office workers, technicians, and managers need mobile access to enterprise systems to better perform their jobs and service customers more efficiently. Think about creating a better mobile experience by integrating with ERP or WMS systems for, example, giving employees more freedom to do their jobs wherever and whenever. Critical features for a mobile supply chain functions are scheduling, measuring, and dispatching the workforce. Leveraging the mobile context for such, will allow organizations to accurately measure and improve the productivity of each individual. Which finally in turn will allow organizations to accurately measure and improve the productivity of each individual. Going beyond technology and mobility, an app that enables the workforce can also collect data essential to future planning. The organization can better analyze how much more work it can take on and whether there are enough people to support the forecasted workload. Historically speaking, revenue was only accounted for from a customer standpoint. Integrating new technologies to create a mobile supply chain allows monitoring and assessing revenue percentage at the process level. Being able to quickly obtain the percentage of revenue contribution at each step in the order to cash process is valuable information for real-time decision making and forecasting. Mobile solutions can track performance at each step which gives both locations with context. These values help indicate whether a measured process is underperforming or contributing significantly to the overall revenue. Whether it’s an investment in an asset management app or an inventory management app, whatever it is, a more granular overview of information through your processes can help target your areas of growth, need, and reward in the supply chain. To what level will I automate the process? What aspects of the process will I automate? What tools will my employees use to monitor and be alerted of the process? The mobile supply chain is the next era of communication, collaboration, and responsiveness to the customer, driven by the ability to meet ever-more-stringent deadlines and delivery dates. Start from your key challenges and business objectives, use the right metrics to prioritize, and plan your journey for successful implementation of mobile, IoT and emerging technologies. Shockoe works in the supply chain to prioritize manufacturing apps and technology that support essential business processes. Mobile Solutions are at the forefront of all digital transformations and can support all areas of the manufacturing process. The right mobile app can help manage several areas of the manufacturing process and beyond. 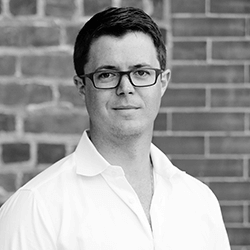 Alex has more than 10 years of international experience in Strategic IT Transformation and Custom App Development. His expertise in various industries ranges from Consumer Goods to Retail to Finance while assisting clients in the areas of Business Strategy & Development, Security & Compliance, and Technology Transformation. 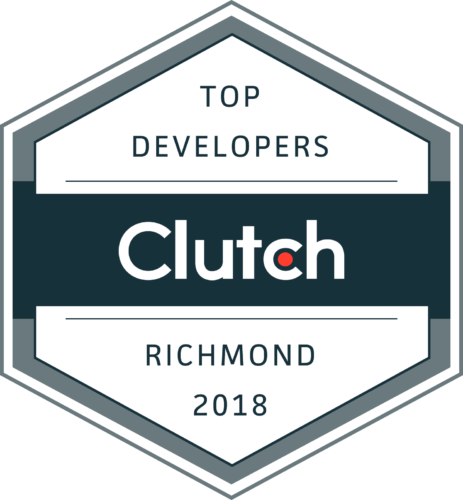 As one of Shockoe’s founding members, Alex is focused on business strategy, security & compliance, digital innovation, mobile management, and operational transformations.